Home For4 Sweet Home: homefor4sweethome with a Facebook Page! 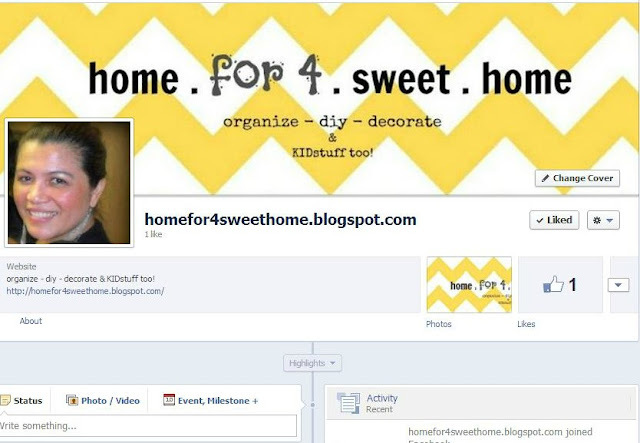 Some of you might have received an invitation via facebook from homefor4sweethome. I am so happy to announce that my blog has finally emerged on facebook! homefor4sweethome.blogspot.com is now with a facebook page! So excited and hopefully you will like my page as much as you do here in my blog! ReaCongratulations on having a new facebook page! !